At Promundo Workplace Advisors, we believe that men have an essential responsibility and role to play in partnership with women in creating a world we all want to live in: grounded in equality, human rights, and respectful relationships. Be more competitive and relevant in today’s climate on topics of gender equality and masculinities. Better align with your customer, stakeholder, and investor needs around gender equality and men’s roles in achieving it. Recruit and retain high-quality, motivated employees. There is an urgent, global demand for people to live and work in more inclusive environments that support gender equality. Smart employers in the public and private sectors are capitalizing on this opportunity to innovate in the workplace and give their organization a competitive edge. Creating a respectful, equal workplace is not only the right thing to do, it’s also the smart thing to do. The research is clear: inclusive, supportive workplaces result in increased employee satisfaction, productivity, and sustainable growth. Comprehensive, data-informed workplace strategies resonate with your board, constituents, investors, and customers, and can increase your organization’s impact. While many efforts to promote gender equality at work have focused on supporting women directly in their participation and advancement – as they should – men must be part of a holistic and sustainable solution. That’s where Promundo comes in. Promundo is a global leader on working with men and boys — as employees, citizens, consumers, and people — to live values of respect and equality, support women’s leadership, be more hands-on parents, and to call out harassment and discrimination when they see it. We'll deliver the data and and training you need. We bring you the strength of Promundo’s two decades of research, programming, training, and advocacy work in 45 countries to help improve inclusivity and equality in your workplace. High-quality research that makes sense. We’ll deliver the data on gender equality and masculinities that matter to you, and make tailored recommendations for how you can use it to inform your campaigns, policies, and culture. Training to make sure the decision-makers at your workplace “get it.” We’ll lead trainings to ensure members of your staff – and leadership – understand the data and recommendations, and feel empowered to make real, sustainable change. Connections to talented, trusted partners who can work with your organization as you implement your data-informed strategy to help you stay on track. We'll help you translate our advice into action. We can help you understand men’s lives and take informed action to advance gender equality at your workplace and beyond through your human resources (HR) policies, workplace culture, marketing campaigns, social mission refinement, and advocacy efforts. Design effective marketing campaigns, advocacy efforts, and social mission strategies to reach men and boys where they are, tapping into positive masculinity and men’s roles in supporting gender equality. Adapt your HR policies around parental leave, sexual harassment, and employee recruitment to ensure you are a market leader in gender-equitable policies and practices, and that your employees are safe, supported, and motivated to perform. Support shifts in your workplace culture to ensure all staff – including top leadership – value being caregivers at home as well as being an employee at your workplace; support women’s leadership with concrete action; and approach all relationships with respect. Our partners, including nonprofit organizations, technical experts, and leaders in the field, allow us to offer a full suite of client services that can meet all your needs. We can take you to the next level, ensuring that we’re here with you every step of the way as you transform your workplace. Promundo has worked with a range of workplace clients, and we’re proud to share the incredible impact of our collaborations. Promundo has partnered with Axe, Unilever’s leading male grooming brand, to conduct and launch nationally representative research to help understand the state of masculinity and bullying for young men. Our research, The Man Box (2017), specifically explored perceptions of manhood across the US, UK and Mexico and revealed that most men feel pressure to live in a rigid construct of masculine expectations. The research was launched with Axe’s “is it okay for guys?” campaign that achieved press coverage in the likes of The New York Times and was shortlisted for the Cannes Lions 2018 ‘The Glass: The Lion for Change’ award that celebrates culture-shifting creativity to address gender inequality, imbalance or injustice. ‘The Man Box’ was followed-up with ‘The Bullying Crisis’ (2018) that uncovered today’s prevalence of online and offline bullying among young men. Promundo partnered with the mining corporation Rio Tinto to support the rollout of their new domestic violence policy for the United States and Canada. Their policy provides paid leave and other resources to employees experiencing or potentially at risk of experiencing domestic violence, and also extends support to immediate family members of employees experiencing domestic violence as well. To accomplish this, Promundo conducted interviews and focus groups with over 60 Rio Tinto employees, and developed an online survey for all Rio Tinto North America employees to better understand the prevalence of domestic violence in the selected communities and to gauge the office climate around these issues. Based on these interviews and the survey results, Promundo developed a training package – with the Centre for Research and Education on Violence Against Women and Children at Western University in London, Ontario – for managers and HR staff, focused on the impact of domestic violence in the workplace, to better prepare HR and managerial staff for understanding and working with the policy. Promundo partnered with Unilever’s Dove Men+Care to carry out a pioneering study, Helping Dads Care, to explore what keeps fathers in the U.S. from taking parental leave and being the fully engaged parents they want to be. The results confirm that fathers want to be involved in their children’s lives. However, nearly 75% of dads agree there is little workplace support for dads and 21% are afraid of losing their job if they took the full amount of paternity leave offered. Helping Dads Care received extensive coverage in top-tier media outlets including CNN, CBS News, Quartz, APlus, and Slate. Additionally, the findings were presented at a briefing on Capitol Hill to raise awareness among policy makers about how paternity leave policies can benefit families, employers, and the economy. 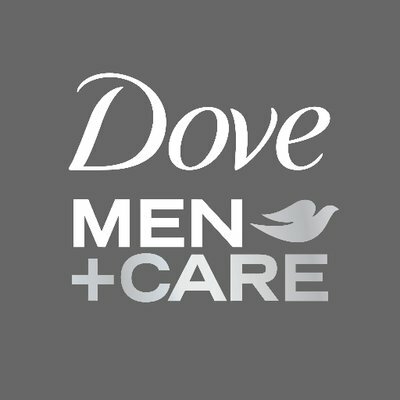 This research has further bolstered support for Dove Men+Care’s work championing paternity leave and inspired the brand to expand its research with Promundo beyond the U.S.
For more information or to engage our services, write us at: contact@promundoglobal.org.